I wanted to share the craft my Sunday School class will be doing this Sunday! It's always a challenge to find something that's not too expensive (we may have up to 15 kids in class!) 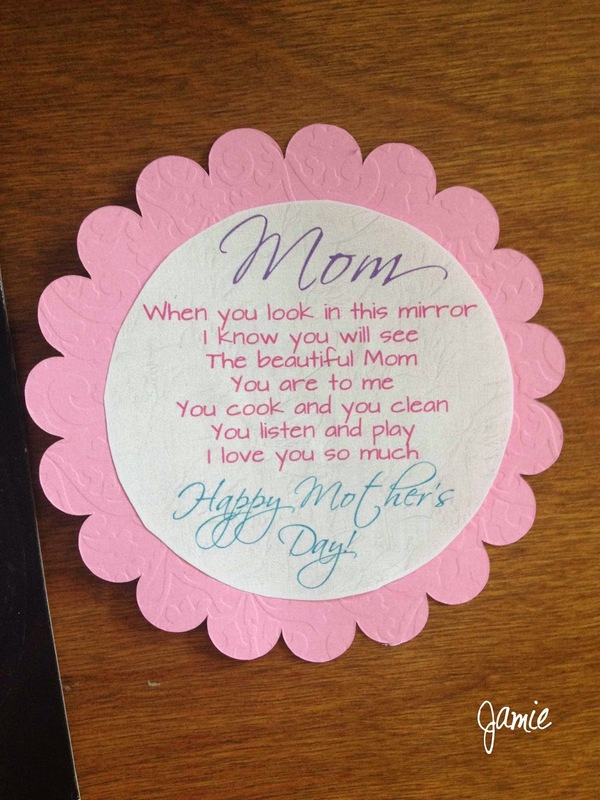 but will be special and meaningful to the moms. 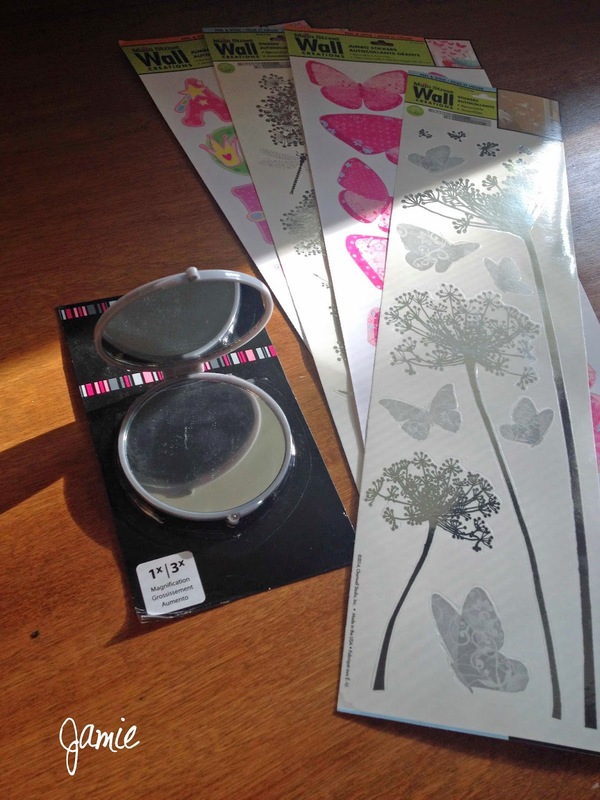 So I was browsing around the Dollar Tree yesterday and came up with this idea....for a whopping $1.00 each plus I spent another $4.00 on stickers and $3.00 for gift bags. I found these mirrors (they have a regular mirror AND a 3x zoom mirror). 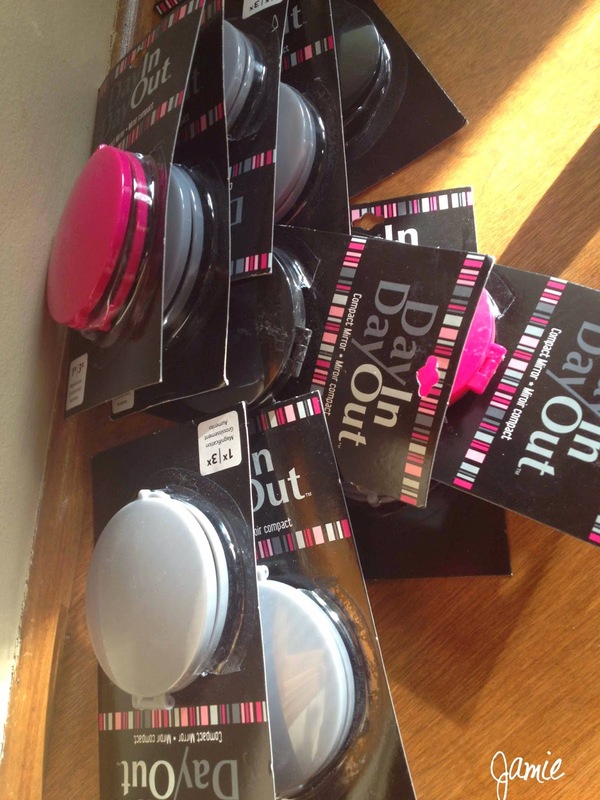 They came in 3 colors: hot pink, gray and black. I used my Cricut machine for the pink flower background. 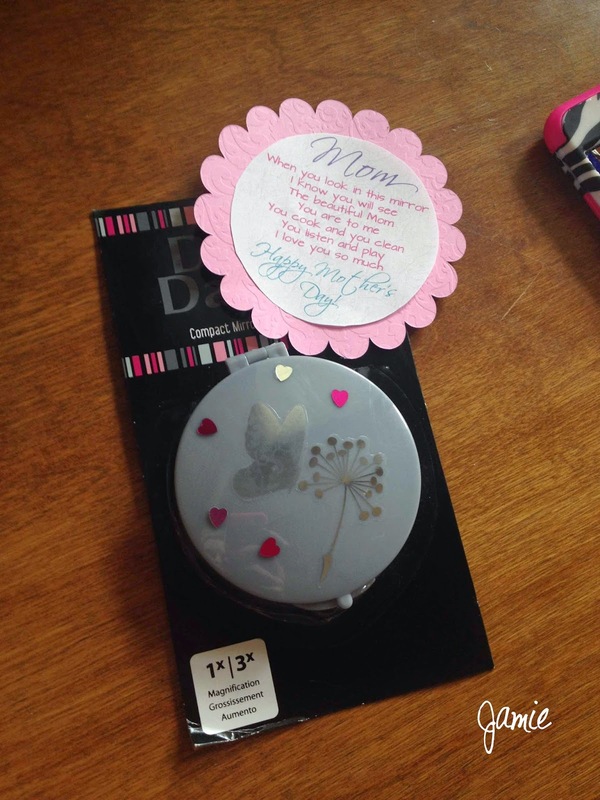 Here is an example compact that decorated very simply with two silver stickers and some heart confetti. I will give the kids lots of stickers and gems to choose from.